Josh Powers can already say he has scaled a 13,000-foot mountain. But Indiana State University associate vice president for student success is up for a new challenge in September when he aims to conquer Africa's more than 19,000-foot Mount Kilimanjaro in an effort to raise funds to help students who are a few courses short of graduating and struggling to pay for it. Powers' work with first-generation college students is the driving force behind the climb - an adventure that is also high on his bucket list. "About half of our students come from homes where neither of their parents has a bachelor's degree, and we also have a large number of students of color with the largest subpopulation being African American, though our fastest growing subpopulation is actually Hispanic and Latino," he said. "I love the fact that we have a mission of inclusive excellence. We define our excellence, not by who we exclude, but by who we include and how we support them in their success." Powers will show his commitment to their success when he climbs Mount Kilimanjaro, African's highest peak at 19,341 feet above sea level and 200 miles south of the equator. The mountain is a dormant volcano and contains five ecosystems: cultivated land, rain forest, heath, moorland, alpine desert and an arctic summit. The summit can fall to -20 degrees Fahrenheit at night. "I have been fascinated by the mountain since I was a kid. I remember seeing pictures of the rainforest and savannah in Africa, and then there would be a picture with a mountain with snow on it. The idea of Africa with snow captivated me," Powers said. "I grew up in Vermont, so winter outdoor sports were always big and I have a desire to experience snow on the continent of Africa." Powers is no novice to hiking and climbing. A childhood spent in Vermont's mountains and frequent trips with friends traversing the backcountry in locations like the Grand Canyon, the Canadian Rockies and Alaska have prepared him for the challenge ahead. This trip, Powers will be accompanied on the climb by a friend who lives in California and works for an education foundation and shares his dream to climb Mount Kilimanjaro. The pair will both use the climb to benefit the organizations for which they work. "I am a strong hiker, but it would not be in my interest to push it really hard early, because the altitude change can be more problematic for one's safety. Climbing more gradually acclimates you at the proper pace to reduce the likelihood that you will have to be evacuated," Powers said. The climb is expected to take about a week, a majority of which is spent on the ascent. Coming down the mountain only takes two days, but Powers said the downhill is harder on the knees. Since Indiana isn't ideal for high altitude training, Powers said his children gave him an altitude training mask for Father's Day that simulates the ability to get air at certain altitudes and trains the lungs to deal with elevation. He also has a trip to Vermont planned for late July to visit family and do some climbing, although even the highest peak in Vermont is only just over 4,000 feet. Powers knows that climbing Mount Kilimanjaro will have its challenges, but he hopes the experience will serve as a metaphor for overcoming obstacles on the way to accomplishing a goal. "I often hear from first-generation students who are nearing completion but can't pay a final semester's bill or who are just a few hundred dollars short, and the frequency is growing as aid programs are increasingly time-bound and insufficient to cover the full costs of college," he said. "I want to address this need through bridging funds to assist a student to finish and not delay their time to graduation or lead them to walk away from completion when they are so close." When Powers decided earlier this year to do the climb for a cause close to his heart - first-generation Sycamores - he partnered with the ISU Foundation in his endeavor and hopes his expedition will raise at least $19,341, a figure that represents the exact height of Mount Kilimanjaro. Anyone interested in donating to the First Generation Completion Fund should go to Powers' blog, https://kiliclimbjosh.wordpress.com/, to complete a gift form and for more information on his climb. On July 5, Powers began blogging about his preparations and training. 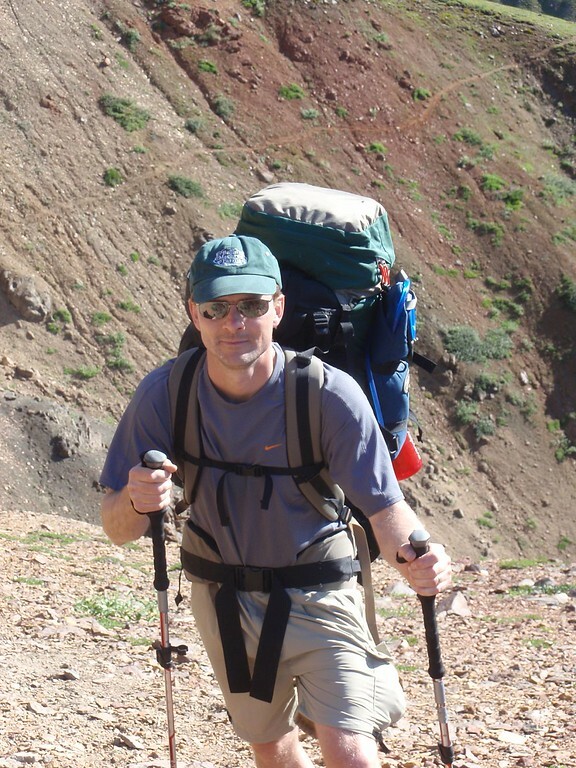 He will use the site to provide updates on his journey as he climbs Mount Kilimanjaro, share stories about Africa and talk about first-generation students - the faces behind his mission. "I know as people start following the blog and take a look at the project that will help sustain me, just knowing people are behind it," Powers said. "This will raise awareness about the special mission Indiana State has because it's hard work. We have faculty and staff every day who are in the trenches, working with our students who have complicated lives. I can't emphasize enough how important relationships with students are, not holding their hands through college, but just knowing that someone has your back and believes you can do it." Powers certainly has the back of students at Indiana State, and he's thrilled that his passion for climbing and the love for the work he does to aid in student success are the driving force behind this adventure. "I hope that my demonstrated commitment and effort to achieve a goal can stimulate students to believe that through hard work they can achieve their dreams, too," he said. 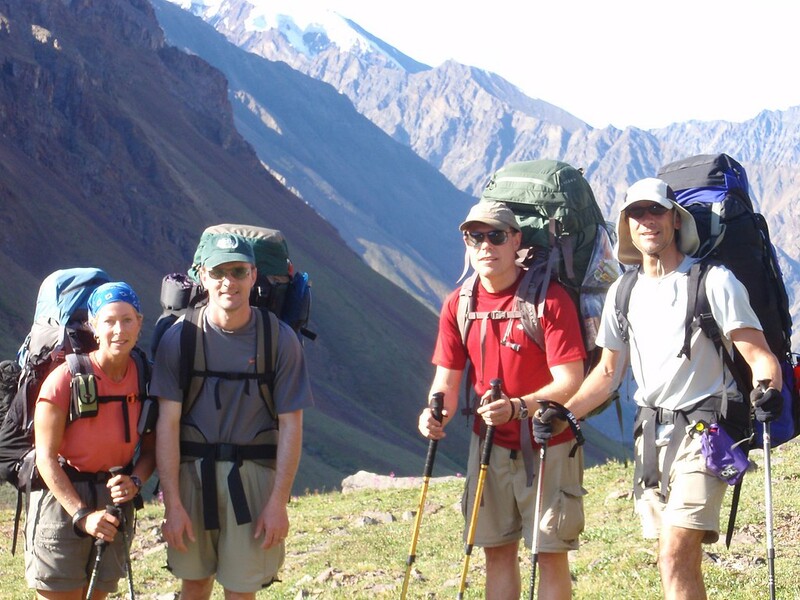 Photo: https://photos.smugmug.com/Other/Media-Services/Submitted-Photos/Staff-Uploads/i-ZwWnP83/0/6c6cce7f/XL/Climbing%20group%20Alaska-XL.jpg - Josh Powers, second from left, Indiana State University associate vice president for student success, and a group hike in Alaska. Powers will aim to conquer Africa's more than 19,000-foot Mount Kilimanjaro in September in an effort to raise funds to help students who are a few courses short of graduating and struggling to pay for school. Photo: https://photos.smugmug.com/Other/Media-Services/Submitted-Photos/Staff-Uploads/i-LTPGj98/0/f3efabe4/XL/Josh%20Climbing%20in%20Alaska-XL.jpg - Josh Powers, Indiana State University associate vice president for student success, hikes in Alaska. Powers will aim to conquer Africa's more than 19,000-foot Mount Kilimanjaro in September in an effort to raise funds to help students who are a few courses short of graduating and struggling to pay for school. 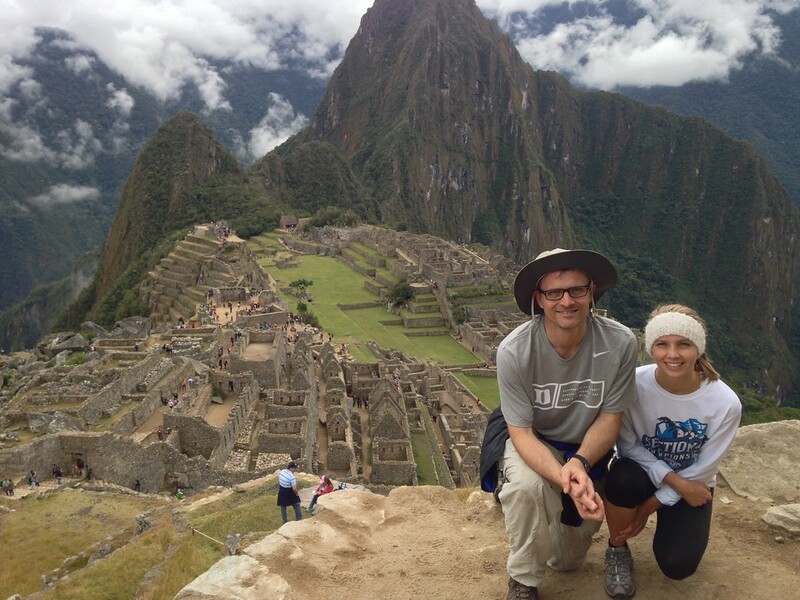 Photo: https://photos.smugmug.com/Other/Media-Services/Submitted-Photos/Staff-Uploads/i-qB3vkqj/0/190ae5a6/XL/Josh%20Machu%20Picchu-XL.jpg - Josh Powers, Indiana State University associate vice president for student success, and his daughter pose for a picture while hiking at Peru's Machu Picchu. Powers will aim to conquer Africa's more than 19,000-foot Mount Kilimanjaro in September in an effort to raise funds to help students who are a few courses short of graduating and struggling to pay for school. Indiana State University Associate Vice President for Student Success Josh Powers will climb Africa's more than 19,000-foot Mount Kilimanjaro this September to raise money for the First Generation Completion Fund.